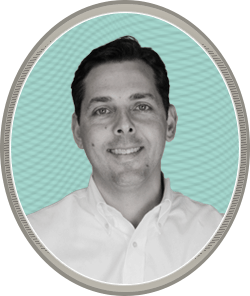 Matt Certo serves as CEO & Principal of Findsome & Winmore, an Orlando, Florida-based digital marketing agency. He is also the author of Found: Connecting with Customers in the Digital Age. Originally called WebSolvers, the company’s first client was his alma mater, Rollins College. Matt built the college’s first website out of his dorm room at the age of 19. Since then, Matt has grown the company into a fully-integrated digital marketing agency with experienced professionals, a diverse client base, and an ever-increasing suite of services. Apart from the growth of the company, Certo’s work in the industry has been extensive: he co-authored a book in 2001 (Digital Dimensioning: Finding the ebusiness in your Business) and was asked by The White House to speak at a domestic economic forum with President George W. Bush. Certo has also conceived and overseen a number of software products that are in widespread use today. He is a frequent guest speaker on topics on marketing, Web strategy and search engine optimization, an area for which he has also served as a testifying expert witness. His clients have included the likes of National Retail Properties, Darden Restaurants, Newman’s Own Organics, Fiserv and McGraw-Hill. He is a frequent guest speaker to various marketing, advertising and public relations trade associations and has been widely quoted in publications including The Huffington Post, The San Diego Union Tribune, The Boston Globe and The Orlando Sentinel. An active community participant, Matt has served as Board Chairman of a number of non-profit organizations including Ronald McDonald House Charities of Central Florida and The First Tee of Central Florida, an organization which he founded. He has also served for nearly a decade on the Board of the Edyth Bush Charitable Foundation as well as Chairman of its endowment committee. He has been recognized by the Orlando Business Journal as one of its Most Influential Men to Watch and its 40 Under 40 list 3 times.